And let there be no mistake – this road means pain, brother. Wanna use some organization-wide key pairs? How do you plan to safely share them around? Wanna make sure all products are properly signed? Good luck configuring each and every of your hundred or so builds! But this is where Bintray swoops in like The Dark Knight, man! To save you from those GPG signing street gangs! Because unlike the technological promises made by the second millennium (flying cars and whatnot), Bintray took an oath and will do anything it can to help you deliver! Damn straight; Bintray can now (optionally, only if you want it to!) 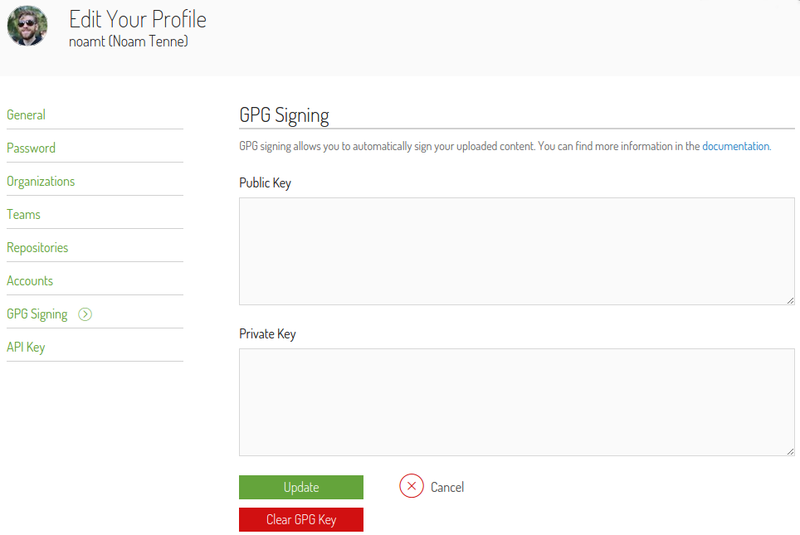 manage your GPG keys and sign your Maven artifacts for you, so that you have proof about the authenticity of your goods. Your public key will be available for others to download right from your public profile page. 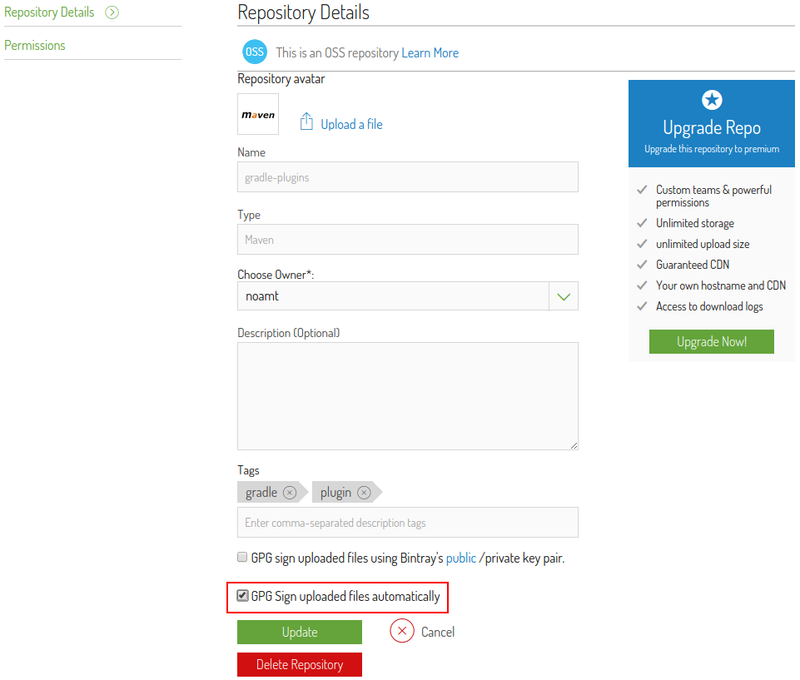 Sign artifacts by deploying through the UI or by using one of the available REST-API commands. Bintray might answer; but it won’t, because it’s not a sentient being. But you know what’s better than sympathetic answers? actions! Bintray also supports password protected key pairs; this means that by issuing a single command over a secure HTTPS connection, you can sign your precious artifacts using a pass-phrase. In any case, we encrypt your private key. It’s safe with us. Still don’t trust us with your keys? It’s cool, we understand; the world is a dangerous place and we’ve still got you covered! 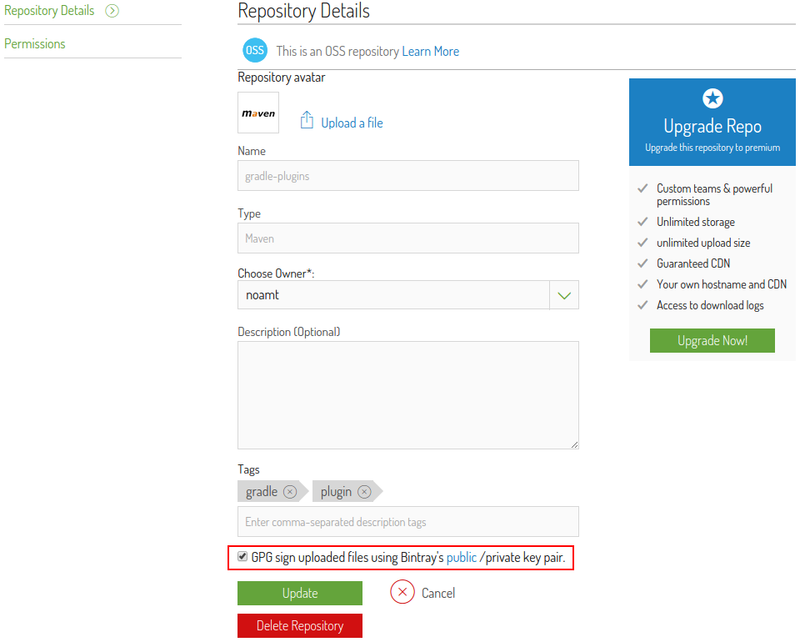 Bintray now keeps a stock built-in key-pair so that it can auto-sign every file you upload. So there you have it; enjoy another revision of this fine binary distribution platform. This entry was posted in How-To, New Features, Publishing Binaries, Security and tagged key pair, pgp, public key, signing. Bookmark the permalink.